Preppy Monogram Style: Easy Last Minute Halloween Costumes! Easy Last Minute Halloween Costumes! Are you aware that we have 10 days till Halloween?! October has flown by super fast! And I'm already seeing Christmas decorations in Target... Oh why can't we start Christmas season after Thanksgiving? Anyways, if you're like me and you've procrastinated getting a Halloween costume together, have no fear! Here is a list of super easy last minute Halloween costumes that look like you've spent all month on them! Looking for a bright and fun way to pass out candy this year? This adorable costume by Camille Styles only requires 4 materials and is completely no sew! You can totally pull off this costume in one afternoon! Another costume that only takes one afternoon to make! 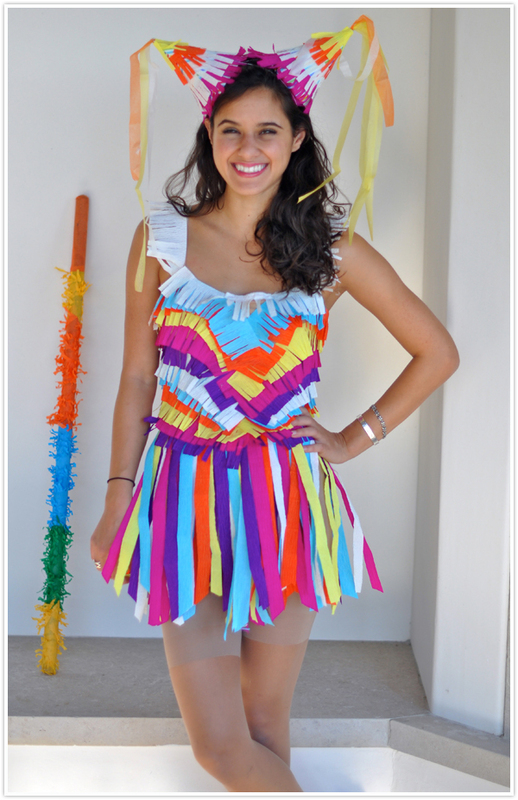 Marie McGrath from The Joy of Fashion created this bright and preppy costume! This costume's supplies (aside from the dress) can all be bought at the Dollar Tree! Candy never looked so sweet! Finish this costume off with a bright red lipstick! Another super easy costume from The Joy of Fashion. This one only requires you to be a little handy with make up and be able to open your closet doors. Throw on your favorite jeans and a plaid shirt. Pick up some flowers from the Dollar Tree and throw on a hat, and viola! Too easy but sooo cute! Okay, I've never wanted to be a fruit so badly before. 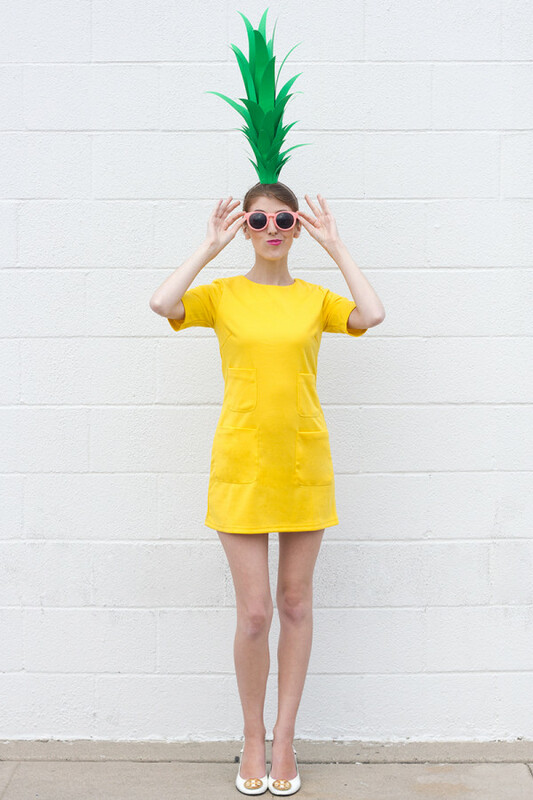 Kelly's Pineapple costume from StudioDIY is so preppy and cute! The only real effort you have to put into this costume is the head piece! This is an amazingly cute costume that comes with little to no effort. We hope you enjoy this article and become inspired for Halloween! Send us your Halloween Costumes ideas here or post a picture of what you're going to be for Halloween!